Ever since I summited my first 14er back in 2010 I have been hooked on being above 14,000 feet. There is just something magical about being eye level with the clouds. Mt. Sherman, my very first 14er in 2010. 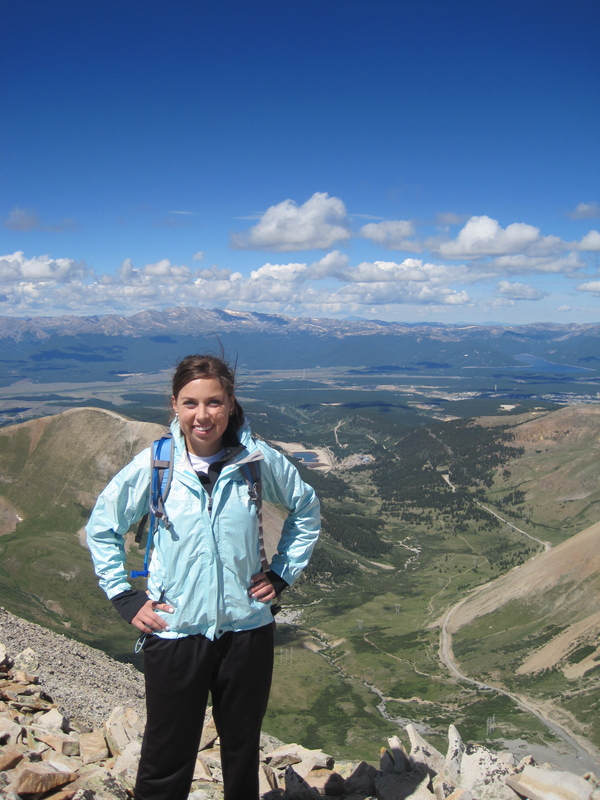 Last summer I set a lofty goal of completing every 14er by age 30. 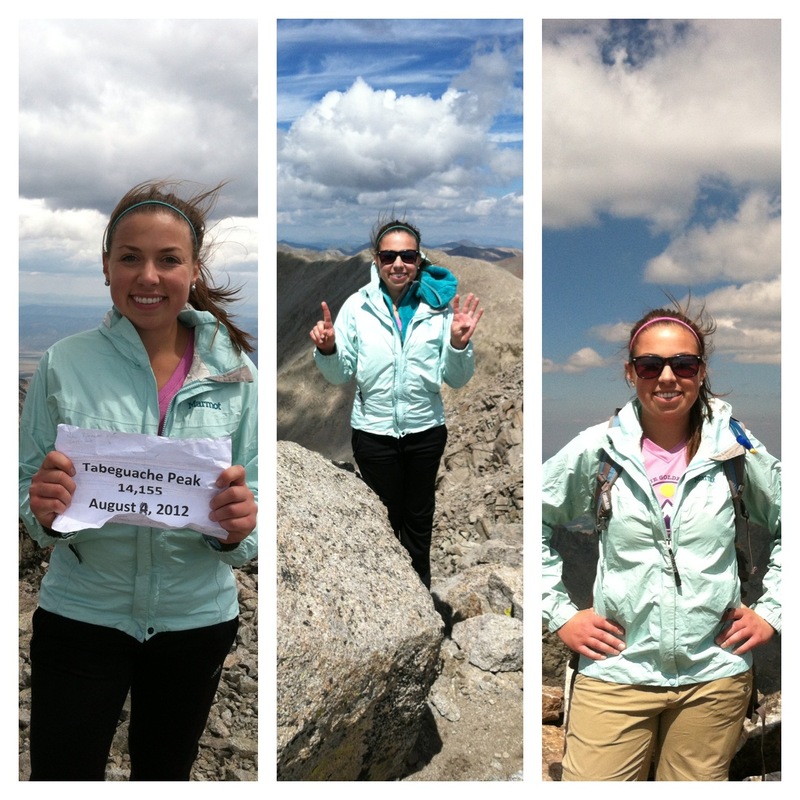 There are 54 14ers, and I have currently done 22 of them. While I’d like to eventually summit all of the 14ers I think I may be revising my goal for several reasons. The problem with 14ers is that everyone else and their mom agrees with me. 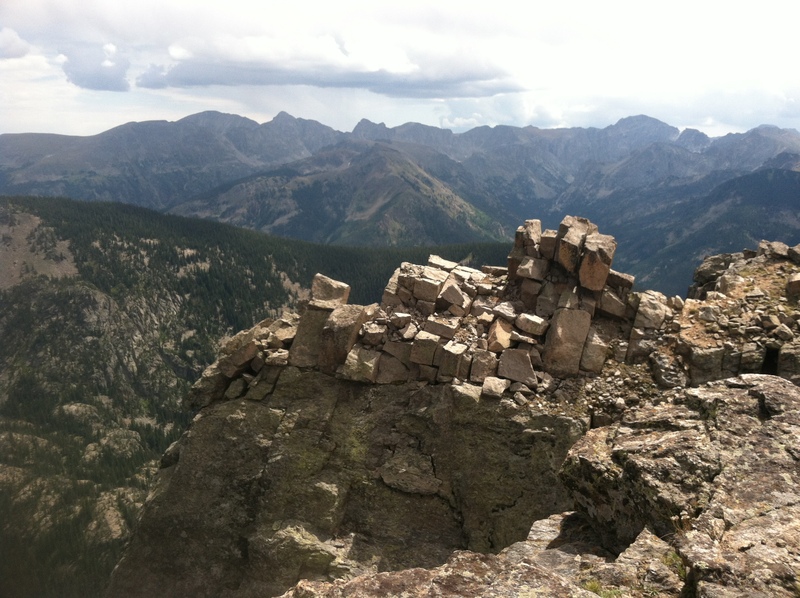 On popular front range 14ers (e.g. Greys & Torreys, Quandary, Bierstadt, etc.) there are caravans of hundreds of people hiking every summer weekend. If you arrive after 7 a.m. you are sometimes out of luck as far as finding parking! I love being in mountains to reconnect with nature and find solitude on the high peaks – sometimes 14ers do not provide this experience. Luckily I’m pretty much done with the high traffic 14ers. I need to do Democrat, Cameron, Lincoln and Bross in the front range and just Mt. Antero, Mt. Missouri, Mt. Columbia in the Collegiates. After that it’s on to the Elk, San Juan and Sangre de Cristo ranges, which are not a day trip for Denver residents and will be much less crowded. Because of the distance and planning these peaks will require, I think my goal will be 3-4 peaks a summer. I’m not going to get all 54 peaks by age 30 but that’s okay! Why? Well you see I’ve recently fallen in love with hiking shorter peaks. Summit of Mt. Irving Hale, 11,754 feet. Because of the fixation that Coloradans (myself included!) have with 14ers the “smaller” mountains tend to go ignored. While the parking lot for Greys and Torreys is full every Saturday morning in July, neighboring peaks that are 12,000+ feet and offer the exact same views are often deserted. Graham and I hiked Mt. 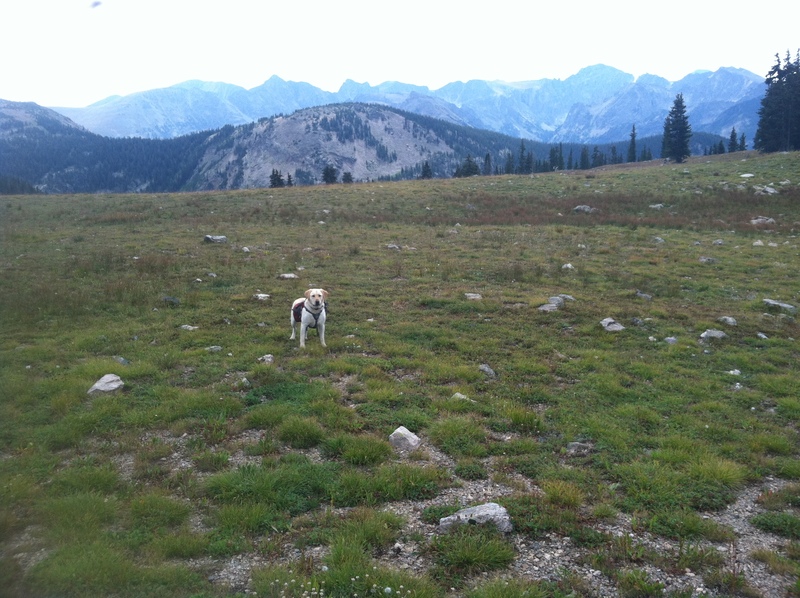 Yale earlier this summer, which was his first 14er ever. 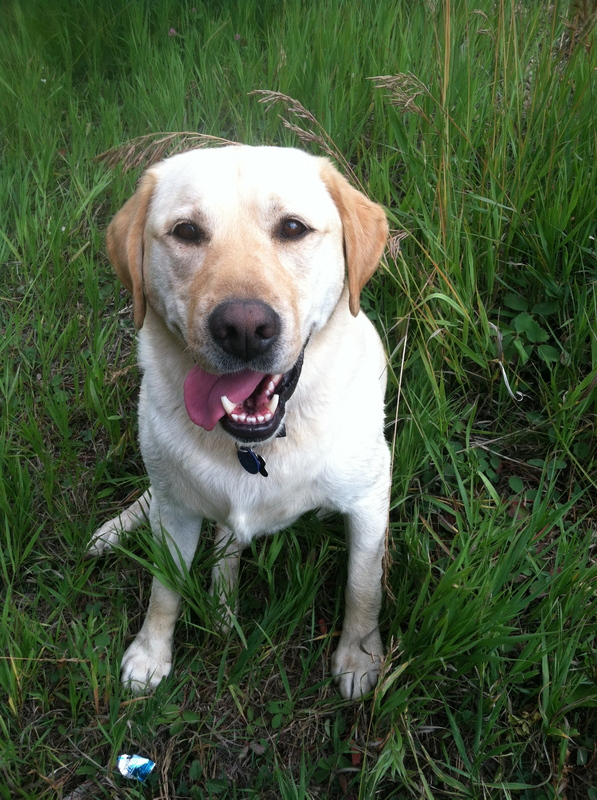 He’s a Colorado native and had always only hiked 12ers and 13ers for the exact reasons above. Over Labor Day weekend we were in Grand Lake for the weekend, so Graham had the chance to introduce me to the exciting world of sub-14ers. 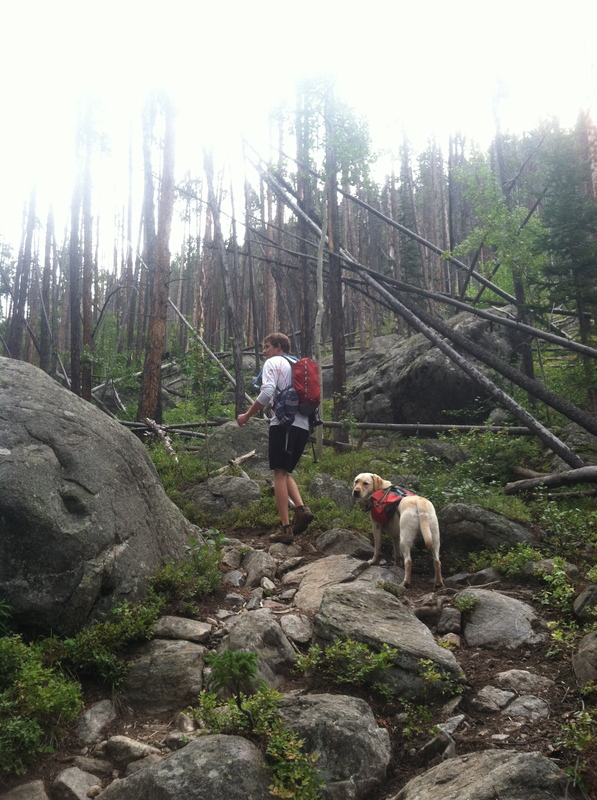 Graham and Cooper starting out on the trail in the Indian Peaks Wilderness. The Indian Peaks Wilderness borders the Boulder area along the front range, and it’s a pretty popular place for people to hike. 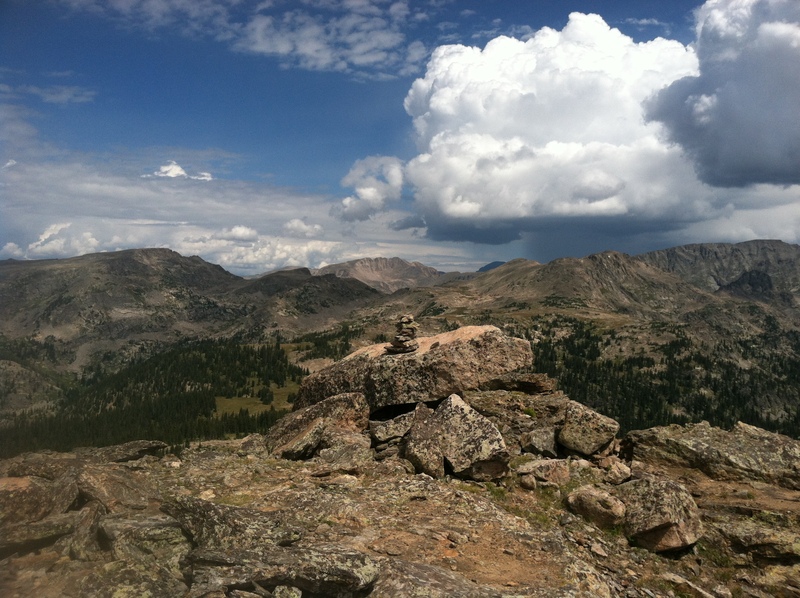 The western side of the Indian Peaks Wilderness, located by the bustling metropolis of Granby, is probably 1/20 as popular. 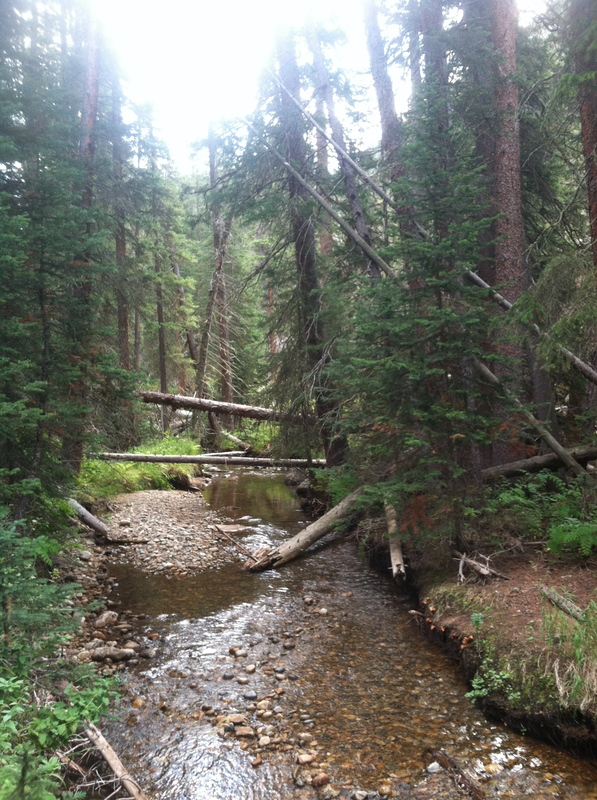 Graham and I had originally intended to hike to Upper Lake, about a 10 mile hike from the Roaring Fork Trailhead. The first part of the trail was brutally steep, much like a 14er, and probably helped keep a lot of casual day hikers from attempting the hike. We had the trail completely to ourselves and saw no sign of others. The Pacific Northwest or Colorado? The hills are alive with the sound of Cooper. Graham and I veered off-trail at this point because we wanted to see the view from the top of a nearby peak. We found a worn trail and headed towards the peak. We were immediately rewarded with awesome views of Lake Granby. Cooper summiting like a boss. At the summit we found a trail register in a peanut butter jar. Graham and I were interested in knowing what peak we were standing on after all, and as it turned out we had found Mt. Irving Hale, an 11,754 foot peak. The trail registry dated as far back as the early 1990s, which was kind of crazy to see. Physical proof of how much less traffic Irving Hale got than a 14er. Official summit at the cairn. Cooper at the summit. In booties. I die. If you noticed giant puffy clouds in the summit photo don’t worry we saw those too. After evaluating the weather at the summit we decided to just turn around from Irving Hale and not continue to our original destination of Upper Lake. We quickly got back below treeline and the weather cleared. I’m always happy to not take my chances with weather though because you never know when you’re not going to be lucky. Once we got back to the creek we took a much needed break to soak our feet in the cold stream. The trail had been steep on the way up and back down, so it felt great to submerge my aching feet in some seriously cool water. So cold but so good. Overall my first sub-14er was an awesome experience. It offered everything I love about 14ers minus the congestion. And the best thing about sub-14ers? See below. I’ll also let Cooper talk. 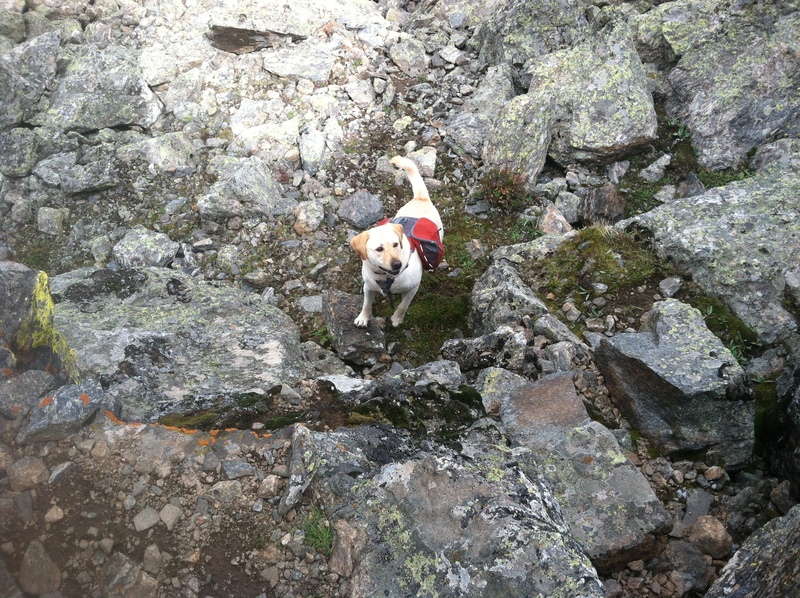 Look at how happy that pup was after a sub-14er! 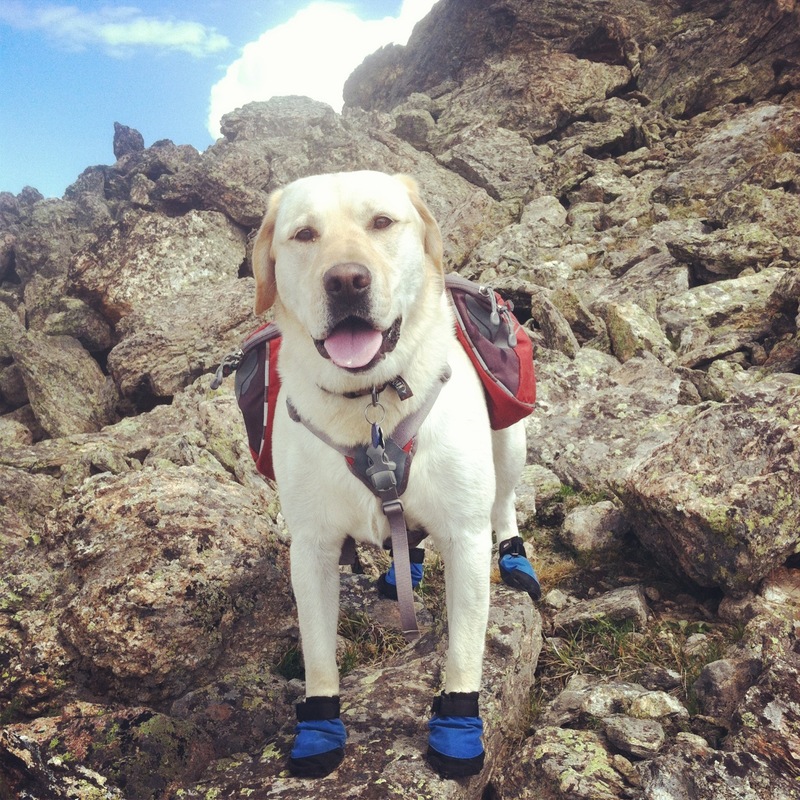 Cooper endorses sub-14ers with two paws up. Categories: 12ers, 13ers, 14ers, hikes, mountains | Tags: 11ers, 12ers, 13ers, colorado peaks, indian peaks wilderness, mt. irving hale | Permalink. Crossing the finish line of the Pikes Peak Marathon this past Sunday afternoon still feels pretty surreal. Did that really just happen? I mean I have only been talking about this race non-stop for the past six months or so. Graham was joking with me before the race that ever since he has known me I have been talking about the Pikes Peak Marathon. It’s completely true. Anyway, here goes the full story. 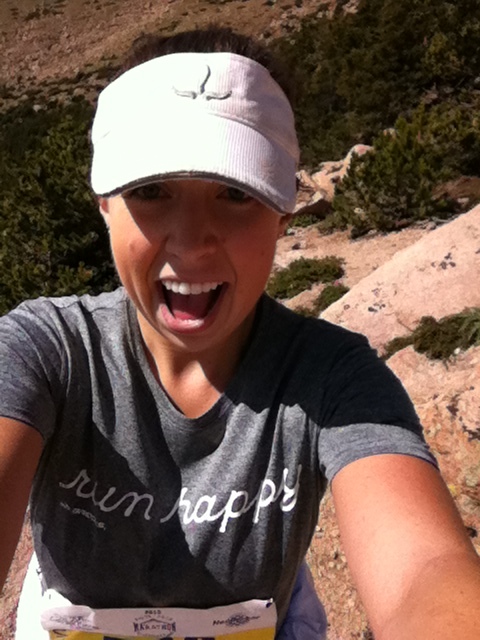 It all started last August when my friend Molly ran the Pikes Peak Ascent. 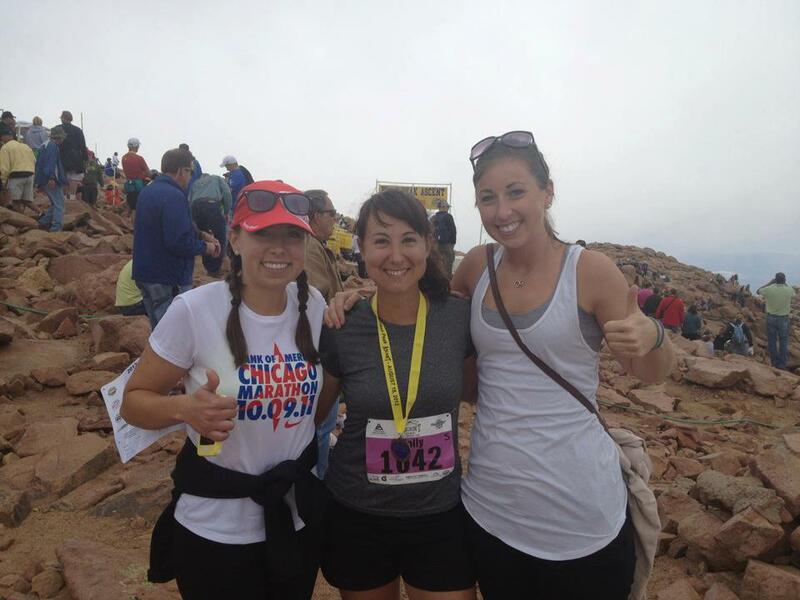 My roommate Britt and I drove up to the finish line to surprise Molly at the summit. When we were celebrating Molly’s race at a late lunch she turned to me and said, “Paula you should totally do the marathon.” And that was that. It takes a lot to talk me into races. Actually I revise that statement, it would take a lot to talk me into doing a road 5K. A trail marathon on the other hand? Sure! Me, Molly and Britt at the Pikes Peak Ascent finish in 2012. Pikes Peak is one of those races that you have to plan months in advance because it fills so quickly. I marked the March registration date in my calendar and took an early lunch at work that day so that I could be on my computer exactly when registration opened. I had ambitious visions of training all summer and toeing the starting line feeling confident and ready to rock it. If you read my blog entry about how I spent the entire month of July tapering for the race you know that this did NOT happen. As the race drew nearer I started to slightly regret signing up for Pikes Peak and look forward to it just being over. I initially had goals of finishing between 7:00-7:30. I revised these goals to around 8:00 in late June. Then two weeks two later I thought 9:00 sounded reasonable. By the end of July I was just hoping to finish under the 10:00 cut-off. Everyone else seemed confident that I would definitely finish the race but I was full of a lot of doubts. The longest run I had done to train for Pikes Peak was the Mt. Evans Ascent and that was way back in June. I’d only been averaging 20-25 mile weeks. I did not feel ready in the least. Molly was gracious enough to let me and Graham crash at her house the night before the race. She was also gracious enough to feed me a pre-race dinner. Not only did she feed me, she let me pick the menu! I said that I do well with quinoa, simple veggies and some sort of protein because that’s exactly what I had the night before Mt. Evans. From that simple request Molly and her boyfriend Matt cooked a feast. 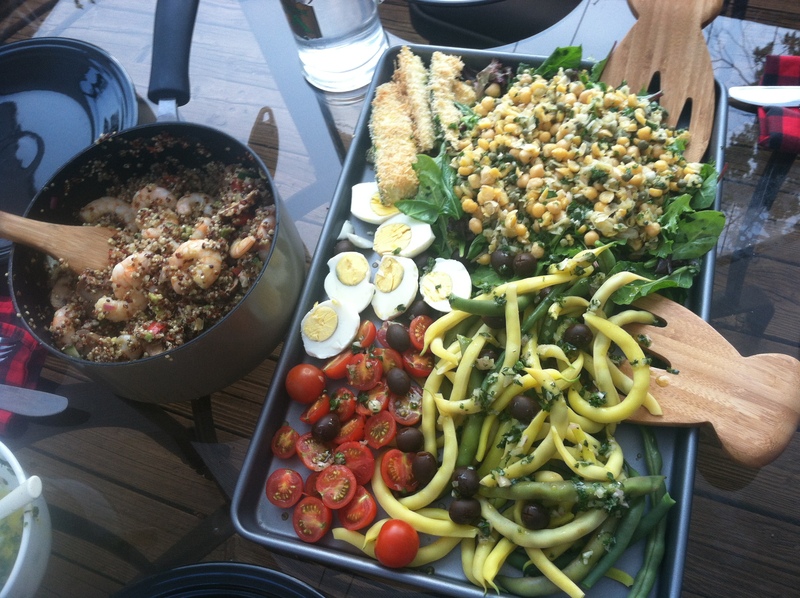 We ate zucchini fries, quinoa with shrimp and avocado, and a salad plate with chickpea salad, fresh green beans, tomatoes and hard boiled eggs. After our delicious meal we spent some time watching a variety of “Sh!t ______ Say” YouTube videos. I loved the “Sh!t Runners Say to Barefoot Runners” – you do realize those Five Finger shoes make you look like a gorilla right? It was then off to bed to rest up for the big day. Race day. Holy cow. I woke up at 5:00 a.m., ate my pre-race breakfast of champions (plain oatmeal with banana slices, salted carmel Gu, and almond butter) and put on my race clothes. 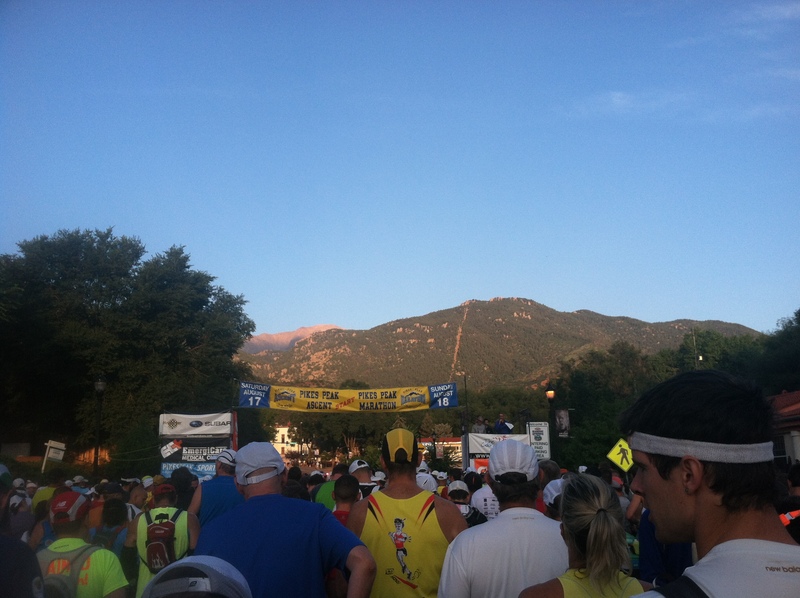 Graham and I were out the door just before 6 and got to Manitou Springs about 30 minutes before the start. This was perfect in my book because I hate getting to races so early that you stand around for an hour waiting for the start. The marathon is only 800 runners and the parking is definitely ample, so I think this is for sure one of those races you can show up to 30 minutes before the start with no problems. Starting line. See that peak 7,000 feet above on the left? That’s the halfway point of this race. The starting line for Pikes Peak might be the most intimidating start I’ve ever seen. You can see Pikes Peak just taunting you straight ahead. And the summit is just the turnaround point of the race. Anyway it was such a small race that Graham was able to stand with me until about ten minutes before the official race start. The only other marathon I’ve done was the Chicago Marathon, which is about 50 times the size of Pikes. I must say I really enjoyed the smallness of the race field. It would be hard for me to ever go back to a giant marathon starting line after the ease of the Pikes starting line. At approximately 7 a.m. the race started and there was really no turning back. The first mile went through Manitou Springs and felt nice and effortless before we hit the hill at Ruxton Road. Everyone started walking the hill and this seemed like a smart strategy so I followed suit. The first aid station was at 1.6 miles. I grabbed a glass of water then kept moving into the W’s. The trail got pretty backed up at this point and we were all just in a single file line up the trail. I passed just a few folks but I was still panicked about even finishing the race under ten hours so I decided pacing myself was a great idea. Single file at the W’s. Oh hey guy with no shirt on in front of me. 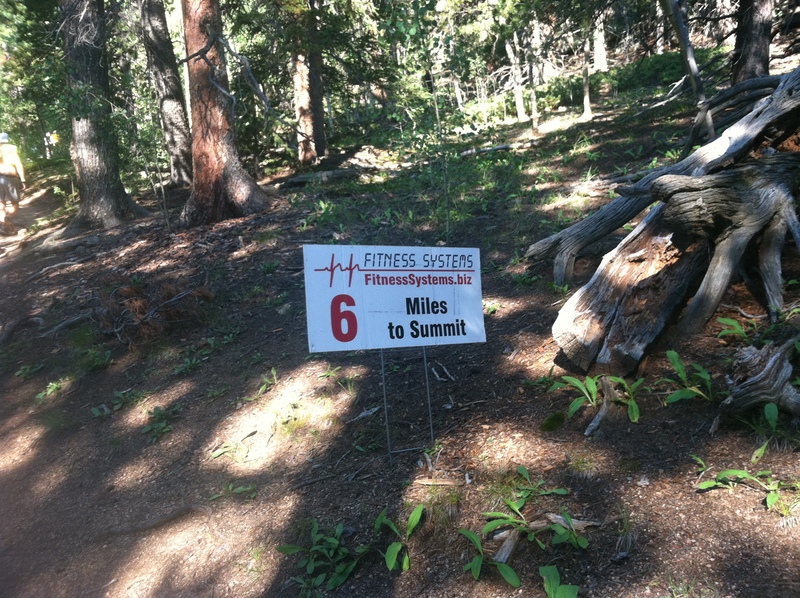 The second aid station was at the top of the incline, 2.8 miles into the race. At this aid station I grabbed a few pretzels and water and kept moving. Soon after I looked down at my watch and realized I had been running 45 minutes. I have never run a race longer than four hours so I knew I would really need to make sure I was eating and drinking constantly. I mixed a raspberry Gu with my water and resolved to drink it all by the next aid station. I continued to power hike with a group around me. Everyone was extremely friendly and I loved the camaraderie of the race. This is not a race where you throw elbows trying to get a BQ, this is a race where you try to finish. Most people that I talked to had done the race before which instilled some confidence in me that I was on track to finish. Making moves up the mountain. The stretch from Barr Camp to the next aid station at the A Frame felt endless. After such a nice runnable section the trail again turned steep and rocky. Everyone was power hiking again. Finally I reached A Frame and the trail again worsened. The trail became gravely and steep and we started dealing with downhill runners frequently. Downhill runners have the right of way but it’s a hard battle because if I had stopped and moved completely aside for every runner I would have never made it to the summit. Eventually I just started trying to stay to the right but not stopping completely. This was definitely something I had not thought about even being a factor in the race. The only on the trail selfie I took during the whole race. I was busy! The section after the A Frame before the Cirque was maybe my least favorite section of the whole trail. It was gravelly and I felt like I kept sinking into the gravel and fighting to stay on top of the trail. I suddenly felt like that weekend I skipped a long run and instead went and played at the Sand Dunes in July had actually been great training. 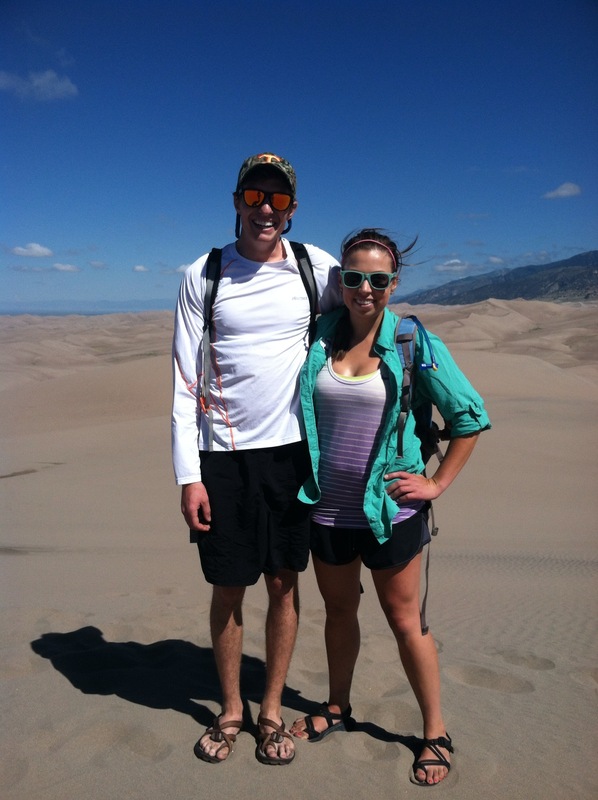 Sand Dunes flashback. Felt like I was back there around mile 11 of the marathon! I started feeling hungry, which is not a good sign during a marathon. I realized I was probably long due for a gel and I downed a salted carmel one and immediately felt better. I’m not sure if the gravel was as terrible as I thought it was or if that was my lack of fuel talking but I hated that section and completely lost my pacing buddy Lynn. I eventually made it to the Cirque and then started the Golden Staircase. The final three miles to the summit had felt neverending so actually being within site of the turnaround was exciting. It was mentally hard seeing runners passing you on their way back down knowing that you were not even at the summit yet. I was definitely looking forward to being on the other side of the summit! 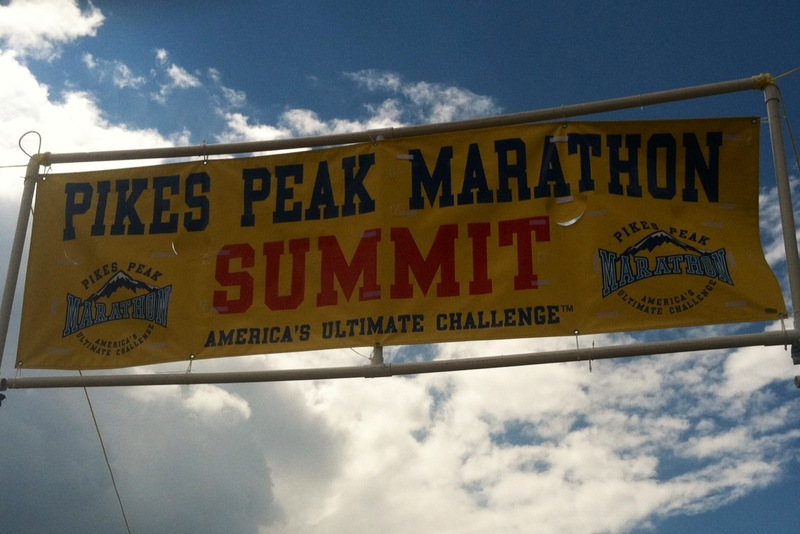 I don’t think you fully understand the meaning of happiness until you run the Pikes Peak Marathon and reach the summit turnaround sign. It was an amazing feeling to be back on the way down. I spent little time at the summit and just pulled my phone out for two seconds to text Graham and tell him I had made it to the summit and was still alive. I turned around at about 4:40ish, which was faster than I had ever imagined making it to the top. I was kind of in shock. It was exciting too because at that point I knew I was definitely going to finish my race, which had been my only goal. After the summit turnaround I felt like a new girl. I had actually run an extremely smart race for once in my life. I am the queen of going out too fast and then dying at the end of a race. Because of the back-up on the Ws and power hiking with Lynn after No Name Creek I had been forced into a pace that allowed me to conserve some energy for the downhill. I’ve always felt that I was a technically weak downhill runner but I surprised myself and cruised past 30+ people on the entire descent. You can almost break the race up into two different races. Up to the summit of Pikes it’s crowded and there were people all around. By the time you reach the turnaround, the field has spread out significantly. I found myself lonely so I turned on my iPhone and blasted some music through the speakers. The race bans headphones but says nothing about iPhone speakers so I felt like it was legal even though I got a few comments from some runners. Sorry not sorry? 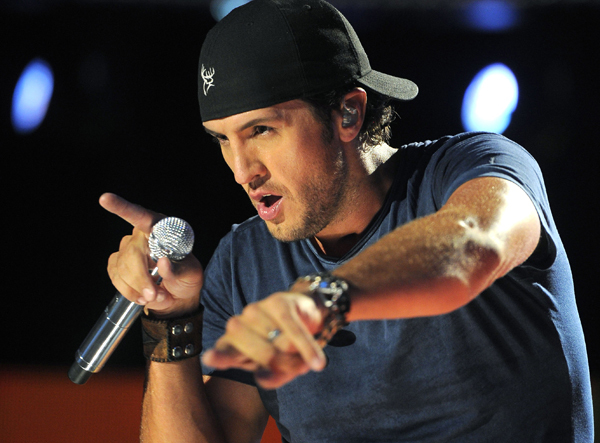 Thanks for getting me down a mountain Luke Bryan! I continued sailing down the trail, even getting compliments on my downhill running form (what the what?). I can definitely see how it would be a miserable race if you pushed too hard on the ascent and had nothing left for the descent. Luckily I had a lot left for the descent and ran the entire way down. When I reached the “6 Miles to Finish” sign I glanced down at my watch and started getting really excited. If the six miles took me about an hour I was on track to finish in 7:15. At the next aid station I texted Graham my new estimated time. I was then a little overzealous about finishing the race and skipped an aid station. Big mistake! I had still been running over six hours at that point and my body was not about to forget it. Overall it was a lot harder to fuel on the way down since I was constantly moving so I think I had put myself in a bit of a deficit. I got a major side cramp and walked for a few minutes until the next aid station. I downed some straight salt (oh the things we distance runners do), drank some water and immediately the side cramp disappeared. I asked for tequila to go with my salt but the aid station did not have it. NOTE TO THE RACE DIRECTOR FOR NEXT YEAR: More tequila. At this point I was so ready to be off the Barr Trail. The major rains that flooded Manitou Springs had also made large ruts in the middle of the trail, and I was just plain tired of fighting the trail on every step. Unfortunately as soon as we hit pavement on Ruxton we were greeted with a huge downhill. It hurt pretty badly but I suffered down it. Manitou Springs felt like a much bigger town than I had remembered on the way out in the morning, and it felt like the finish line was never going to come. The starting line and finish line were also in different places, and I didn’t know it until I rounded the corner into town and saw the finish line in front of me. I crossed the finish line in 7:19:40 and was absolutely thrilled with my time. Considering my (lack of) training I could not believe I had pulled off such a decent time. My overall place was smack dab in the middle at 405 and I was the 80th woman to cross the finish. In a race this crazy I’ll take middle of the pack with pride. The pain immediately set in after crossing the finish line. Graham and Joel came and met me and all I wanted to do was sit down. My muscles weren’t sore from the climb; it was the trail time and descent that had hurt me. We found a bench and then Molly, Britt and Matt came and met us. They missed my finish just barely because I had beat my predicted descent time by a good amount. Oops! There was a creek right behind us and I decided my feet just had to be in it, so I hobbled down and iced my legs for a bit. 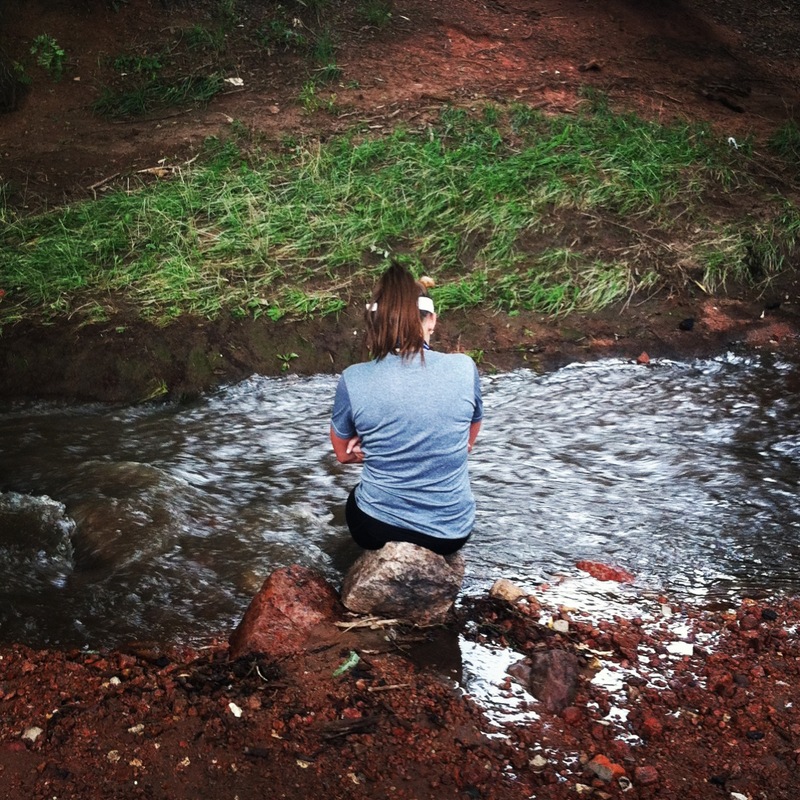 After numbing my feet sufficiently in the creek my next immediate priority was food. We all headed to Phantom Canyon Cafe in downtown Colorado Springs where I proceeded to eat two plates of french fries, fried pickles, calamari, a chicken sandwich and drink a beer. I think my body was craving salt just a little. Eating after races is basically my motivation to run. 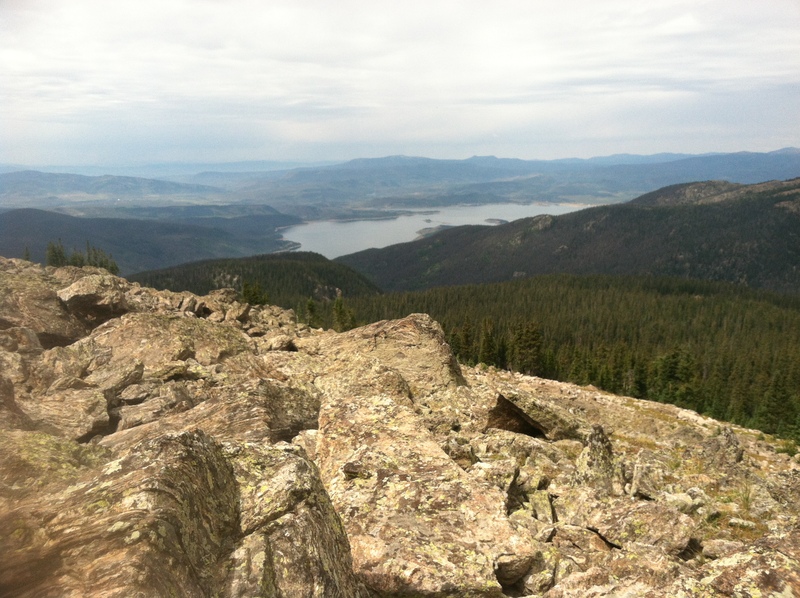 Since I first seriously dreamed of running Pikes Peak last year I’ve been trying to figure out why I would want to put myself through such an endeavor. Not for a second did I think it would be easy. I mean why do we distance runners do what we do? It’s been such an emotional roller coaster over the past six months. I went from being excited to train, to realizing the reality of struggling through hill workouts in May, to running the Mt. Evans Ascent, to hating how running was dominating my schedule, to not wanting to train, and finally to panicking before the race thinking I barely had a chance of finishing. And at the end of the day not only did I finish, I surpassed my wildest dreams and got a finish time that I thought was not even a remote possibility. On the day of the race at the starting line I told Graham, “See you in eight or nine hours!” and I truly believed it. Graham, on the other hand, had been telling me all along he thought I was going to surprise myself with how well I was going to do. My mom thought there was no question that I was going to finish. Molly said I was going to be totally fine. The only person who had doubts? Me. I think that’s what brings me back to distance running. Running absolutely challenges you to face yourself and face your biggest fears head on – there is no hiding anything from a trail marathon. To finish you have to dig deep and leave everything you have on the course. And the cool thing is I proved to myself that everything I have is enough. I can do things that sound really hard and succeed. It’s pretty fun to face your fears and realize there was nothing to fear in the first place. 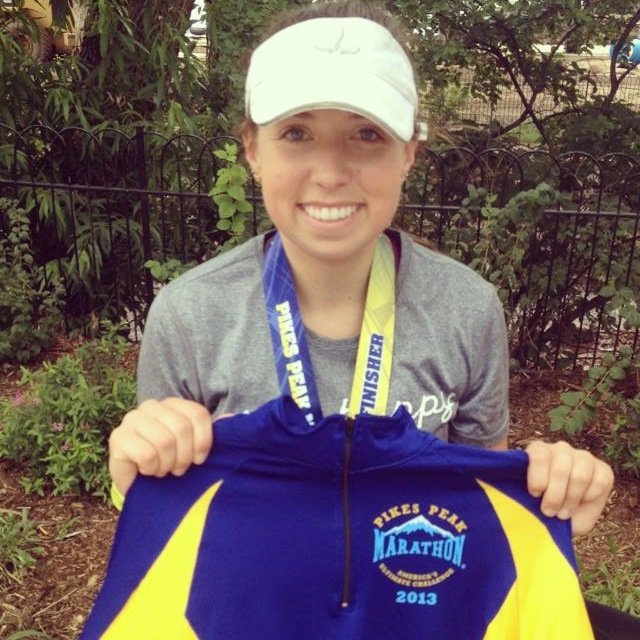 So proud of myself for being a Pikes Peak Marathon finisher! Will I be back next year? Probably not. I think I’ll take the year off from Pikes Peak but I definitely recommend running this race or really any race that you think sounds way too hard! You’ll probably end up surprising yourself! 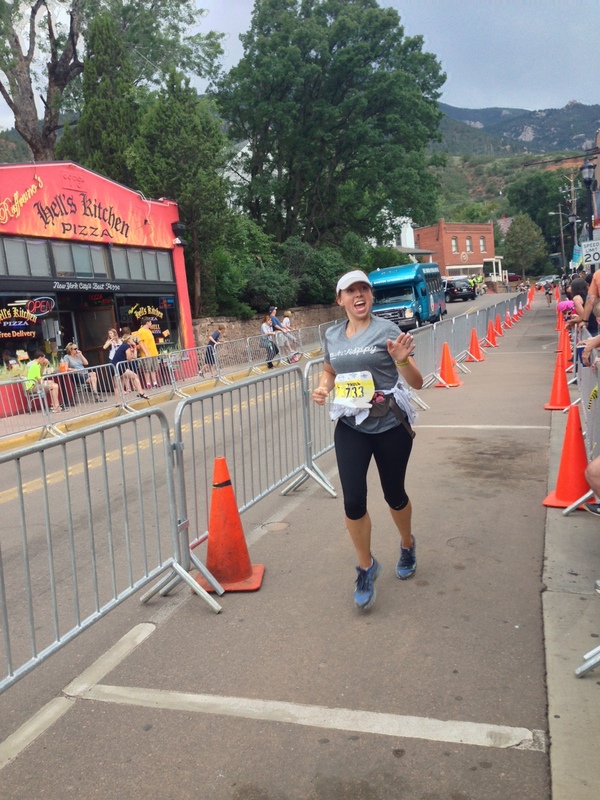 Categories: 14ers, marathon | Tags: 14ers, manitou springs, pikes peak marathon, ppm, race report, trail marathon | Permalink.